Champagne harvest 2015 – choucroute at the Boulards to lift the mood on this rainy last day of harvest. In between class preparations I managed to visit the Boulards on this wet Wednesday. It rained cats and dogs when Delphine Richard took me out to the winery to talk about this years harvest. It was her first of being totally in charge now that Francis Boulard retired in July. The last vineyard to be harvested were the old vine Chardonnay in Courcy. It was coming in around 10,8% potential alcohol despite the heavy rain. 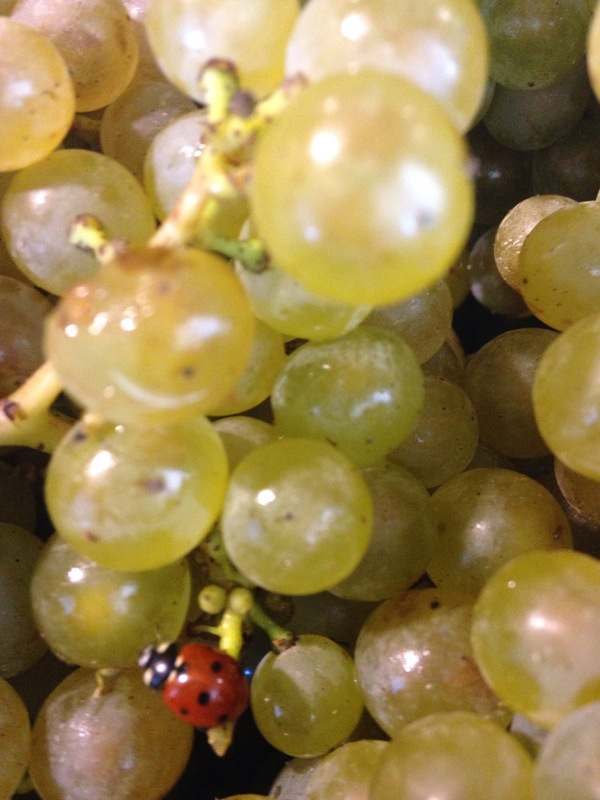 “We had 80 mm of rain between the 25th August and today, yet it did not dilute the grapes. Instead we have plenty of flavor, good acidity and low pH’s”, explains Delphine. We time traveled from the Chardonnay juice to the Blanc de Blanc Vieilles Vignes champagne which was delicious with the meal! Francis arrived later; the good grandfather had picked up Delphines kids from school. 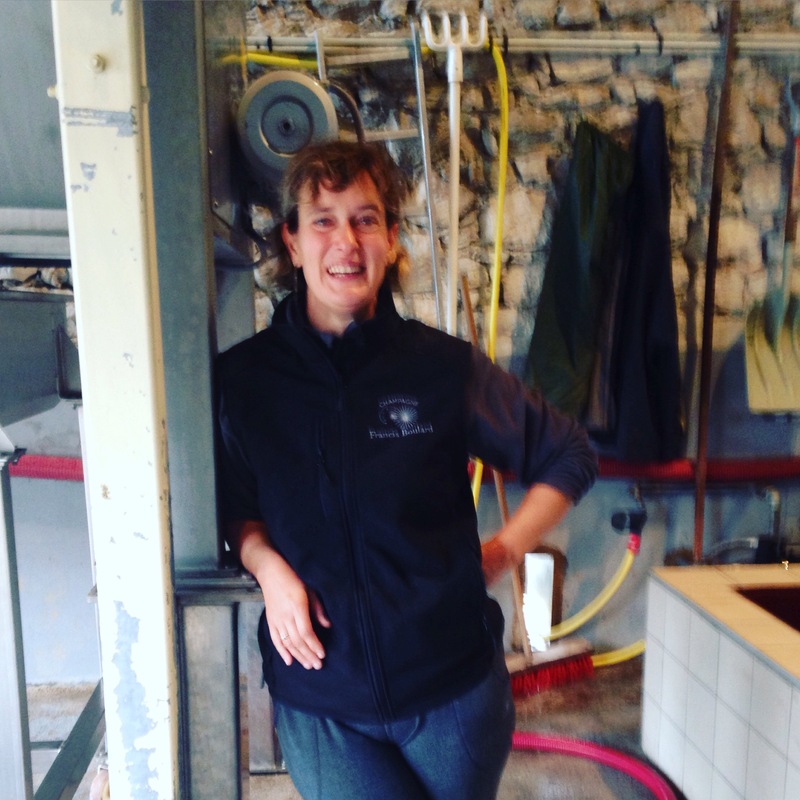 This entry was posted in Caroline's Champagne, Champagne, Champagne harvest 2015 and tagged champagne harvest 2015, Delphine Richard, Francis. Boulard. Bookmark the permalink.